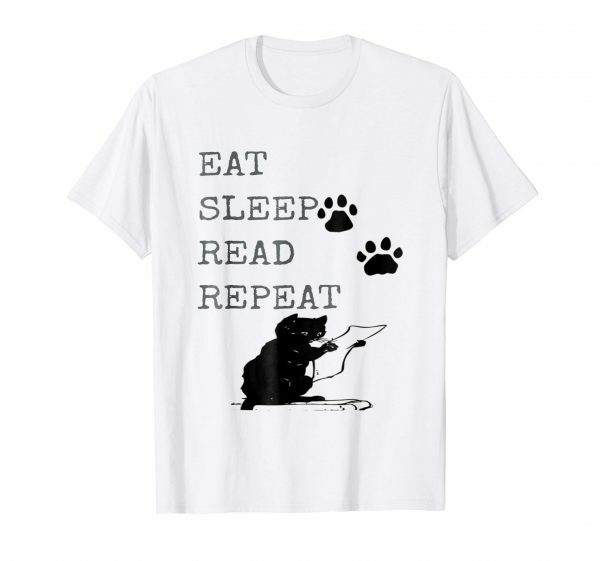 Looking for some clever black cat gift ideas? From fun PopSockets to funky t-shirts, you’ll find something for every member of your family here! 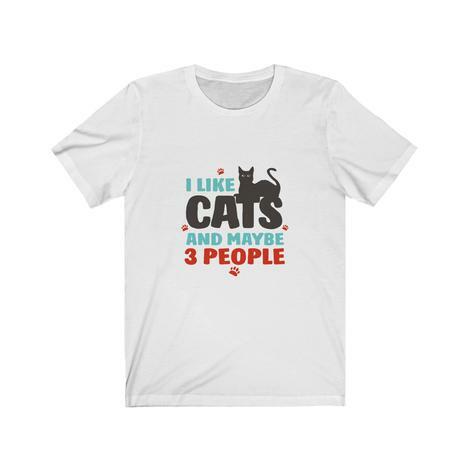 RELATED: 10 Funny Cat Gifts. Check them out. 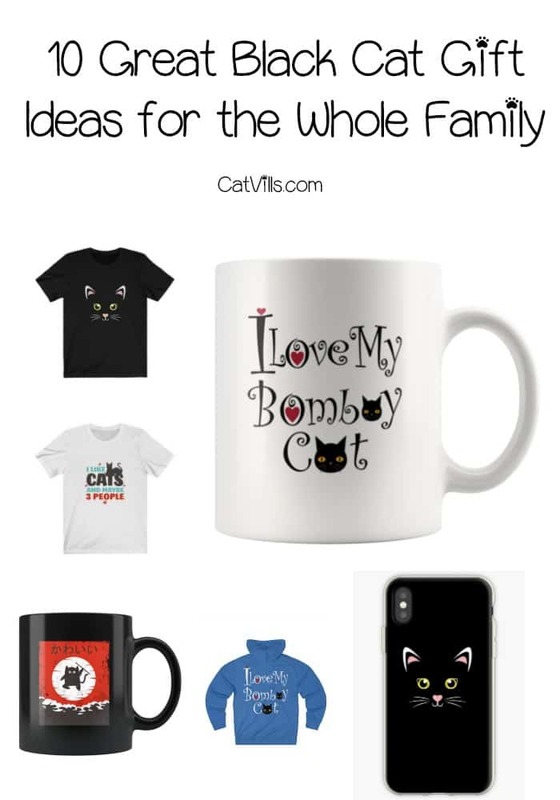 As a former black cat parent myself (my Piper crossed the rainbow bridge a few years ago), I can definitely say that I approve of all these cute products! Let’s check them out, shall we? I have to start with this one because it’s just beyond insanely cute! While this design comes on a myriad of other products (some of which I’ll share later on in this post), the phone case just jumped out at me right away. 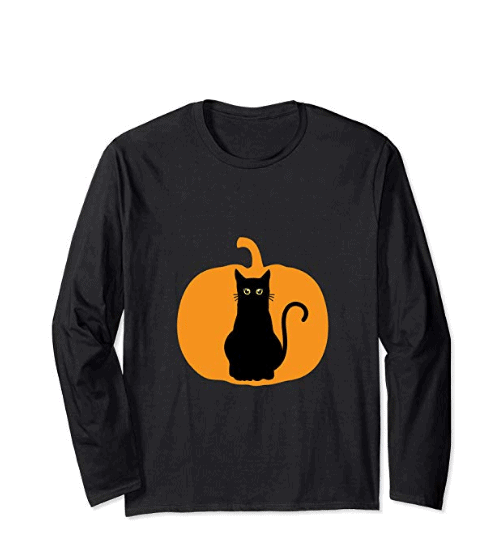 If your idea of a fun Halloween is hanging out at home with your kitty watching scary movies, then this is the shirt for you! Now that my son has declared himself too old for Trick or Treating, that’s how we’ll be spending out holiday! This is pretty much my life whenever I’m on vacation! I love catching up on my to-be-read pile, and I always have a cat close by! My black cat used to love to grab the pages of the book as I turned them. She was none to happy when I went to a Kindle instead! Bombay cat parents know that these are among the sweetest and most lovable kitties ever. They have great big personalities to go with their big, bright eyes! 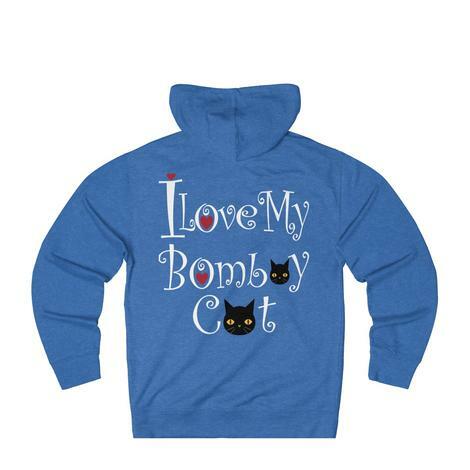 Show off your Bombay cat pride with this cozy sweatshirt that’s just perfect for cold fall nights! Remember I said we’d see more of that cute black cat face down the line? Well, here you go! Seriously, how much do you LOVE this t-shirt? I need to get the black cat face on pretty much every product. Then my life would be complete! The perfect gift idea for black cat loving fans! 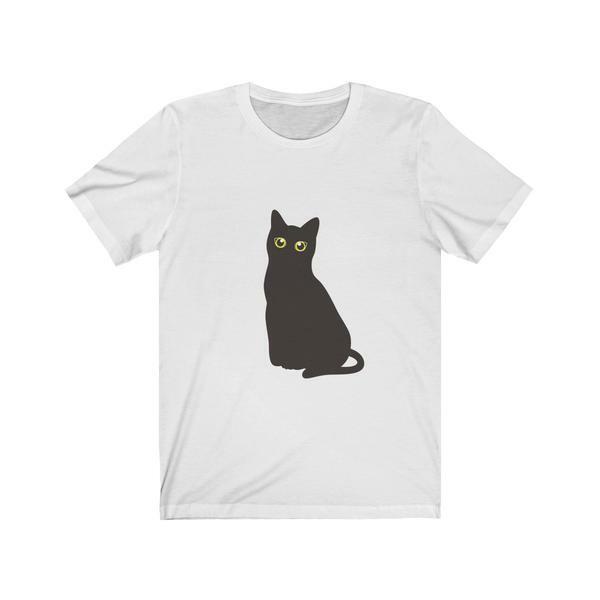 If you’re ping for something that you can wear on Halloween, or just have a black cat lover that celebrates the spooky holiday year-round, this is perfect for you! It has been in the 70s here this fall so far, so I am looking for something light enough that isn’t hot during the day, but that will still keep me warm as the evening chill rolls in. This is just right! Love coffee and your Bombay? You need this mug! 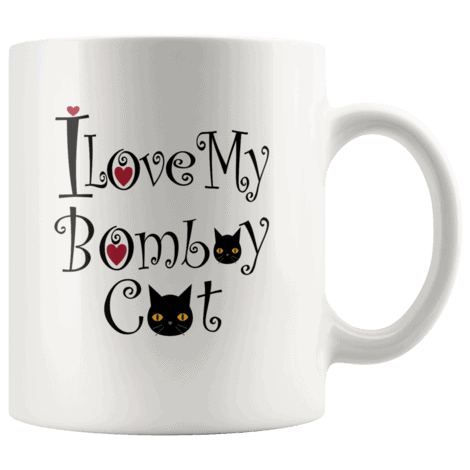 We have a wide selection of Bombay cat gift ideas, but this one is my favorite! I love the hearts! If I’m being honest, “three other people” is kind of pushing it!! Okay, so I really do like a lot of people, but only a small handful that I’d want to spend a weekend with! All of these black cat gifts are perfect for every member of your family. I personally love giving PopSockets as gifts to my teen son. I’ll be including a few in his stocking this year. I’m also a huge fan of the mugs and throw pillows for myself! Don’t forget to check out our page for more great cat lovers gift ideas! Which of these black cat gift ideas do you love the most? Share below! As a child, all I had were black cats. I loved their shiny coats. I would have loved all of these gifts. 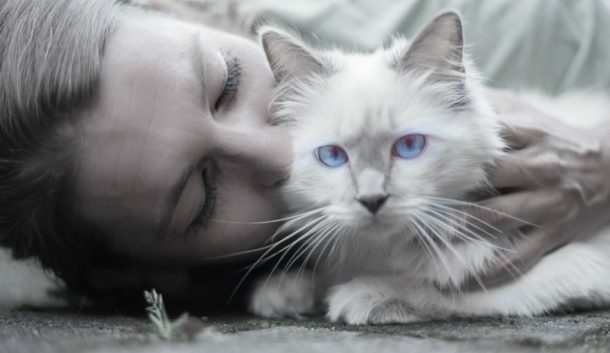 My best friend loves her cat! These are all great gift ideas for her. She’d love them all. These cat selections are all adorable! I love it! I am into cat stuff too so thanks for sharing! 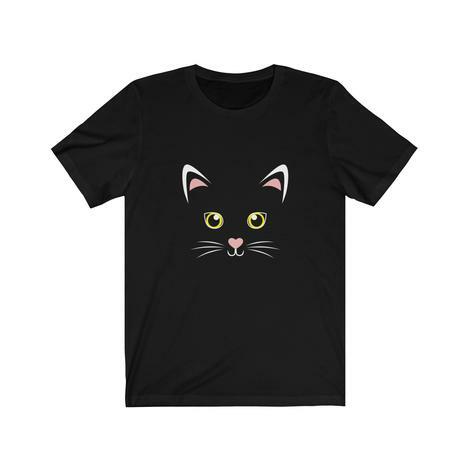 I want this Bright-eyed Black Cat T-Shirt. It looks so cute! It’s a perfect gift for my bestfriend. I think I’d like to have a black cat when I am no longer a dog mom. These are all such cute ideas for cat lovers! My favourite are black cats. And these gifts are so enticing for self & for gifting to close ones. I think black cats are absolutely beautiful. All these gift ideas are perfect! I would love any one of them. This is definitely cute gifts for cat lovers. Especially people who do not believe black cats are bad luck. These are some really cute gift ideas! I personally love black cats!